This year at E3, I managed to get a photographer for the event, and today I’m gonna share as much as the E3 experience as I can with you guys through the magic of pixels on your screen! Sorry I interrupt half the photos, many E3 Demos required any photos included the person playing as to prevent people from thinking it was a screenshot of the final product. 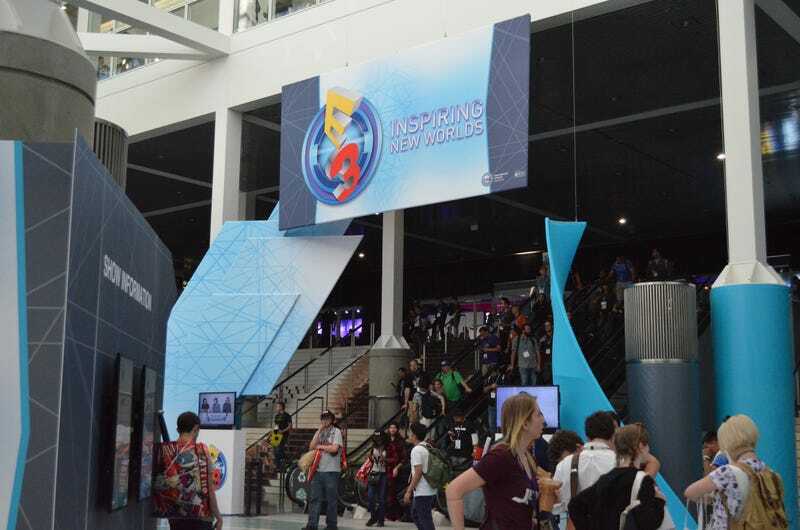 If you got any cool pictures from E3, leave them in the comments below! I got to play the murderer in Dead By Daylight (of course, I chainsawed everyone to death, great fun) and I got a tshirt too! Raid WWII is really just a world war skin on top of PayDay 2. Didn’t blow me away at all. Inversus was an ingenious multiplayer game which can only be understood by playing it. Its great fun. Nintendo had the prettiest booth by far.